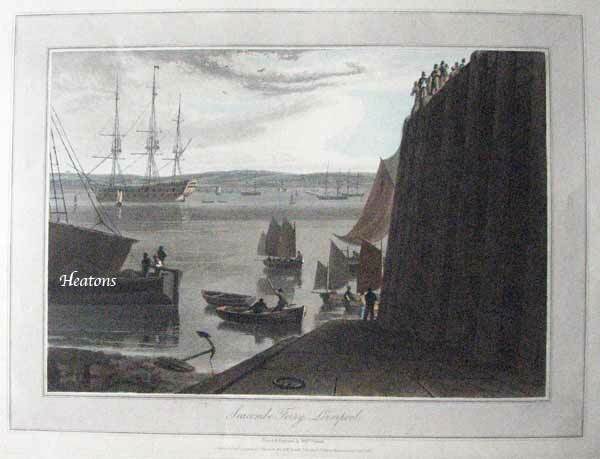 William DANIELL,1769-1837 A Voyage Round Great Britain' In early 1813, Daniell conceived of the ambitious plan to travel around the entire coastline of Britain while producing an illustrated work of the voyage. 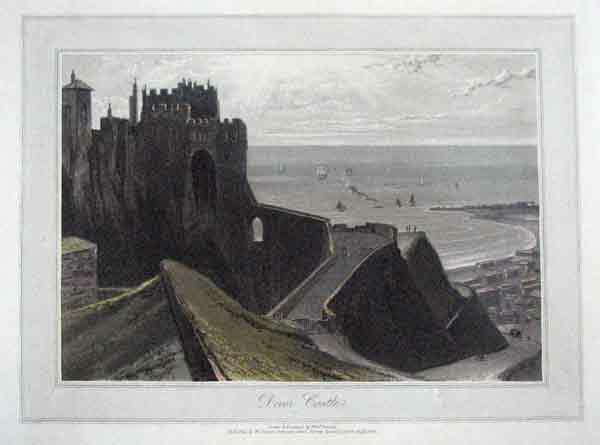 ,In 1814, artist engraver William Daniell set out to record the people, places, towns and villages around Britain's coastline. 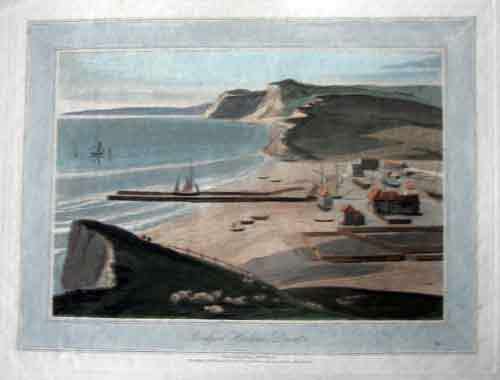 Eleven years later he completed his magnum opus having travelled from Land's End to John 0'Groats via the west coast, then back to Land's End via the east.The result was a collection of 308 aquatint engravings, the last great artist's voyage before photography was invented. images all 9" x 11", William Daniell, an engraver and painter, belonged to a family of English artists. 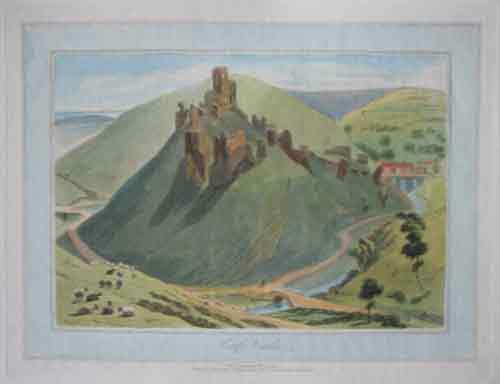 He was raised by his uncle, Thomas Daniell, a painter and engraver, lived with him in India from 1784-94, and worked with him on publications based on his travels. 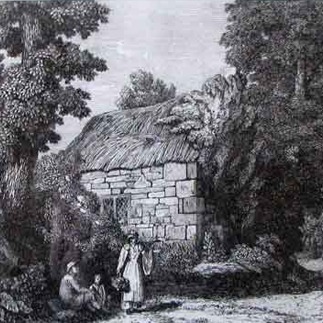 In 1795 he settled in London, where he remained for the rest of his life. 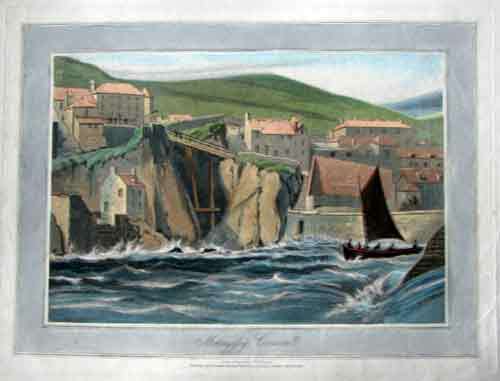 He collaborated with Thomas on A Voyage Round Great Britain (1814-25). 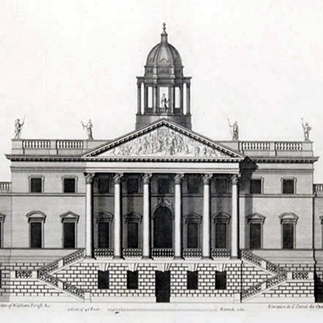 Daniell was a member of the Royal Academy and exhibited there from 1795 to 1838 This series was published in 8 volumes during the period 1814 to 1825. 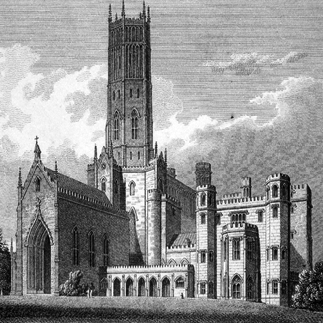 The journey was initially started in 1813 and was a joint project with William Daniell producing the drawings and William Ayton the text.  This partnership lasted for the first two volumes, thereafter Daniell produced the text as well. 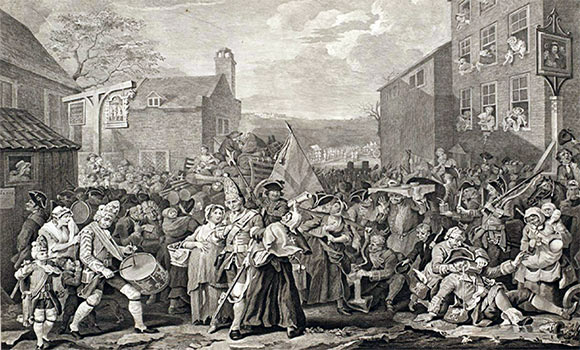 The latter text relates to the plates and is relatively pedestrian, whereas Ayton used the voyage for his own agenda and sociological interests, his text is only loosely related to the plates and concentrates on the manners and customs of people he met.308 handcoloured aquatints. 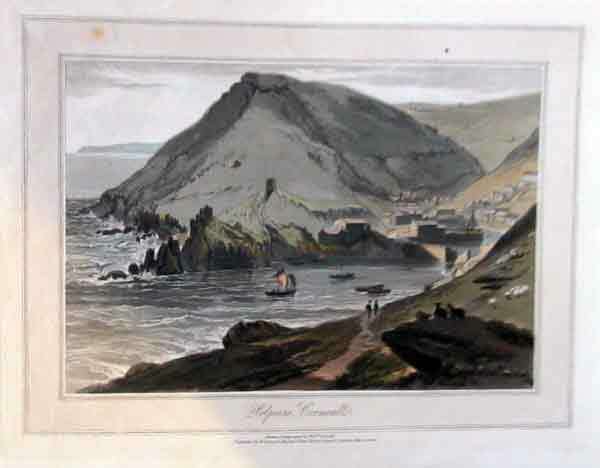 Thomas Sutton in The Daniells Artists and Travellers outlines the journey as follows: . . "During the summer of 1813 Ayton and Daniell surveyed the coast from Land's End up to Holyhead, where the first year's voyage closed near the middle of October (plates 1-26). 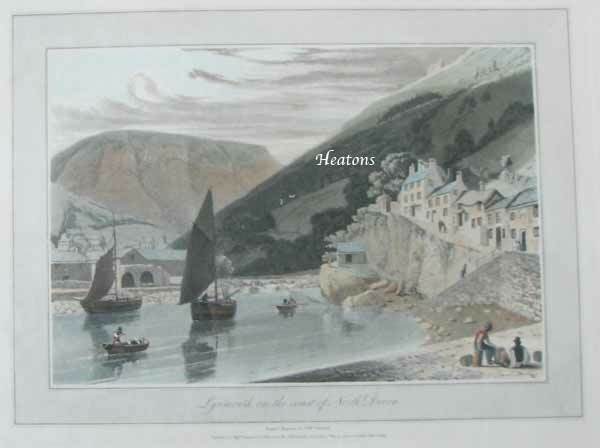 The following year their journeys re commenced at Holyhead, at the beginning of August, and proceeded as far as Creetown or Dunsky Castle in Kircudbright. 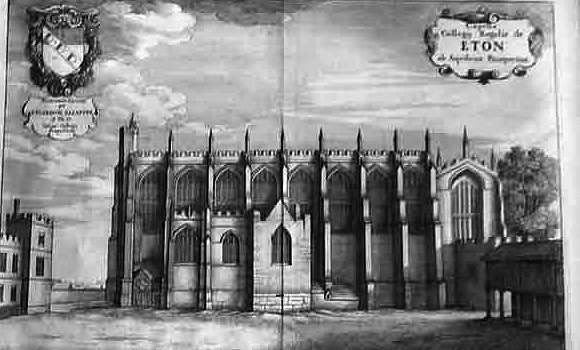 This at any rate, was the limit of Ayton's tour (plates 27-56). 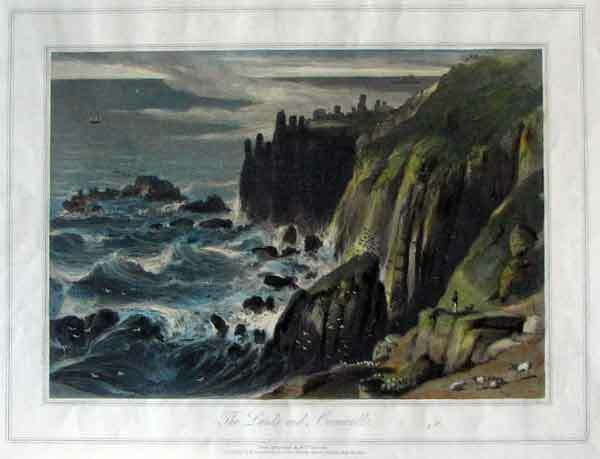 Daniell started off alone from Wigtown, early in the summer and finished his survey of the entire coast of Scotland, as far as Dundee, which he reached in October. 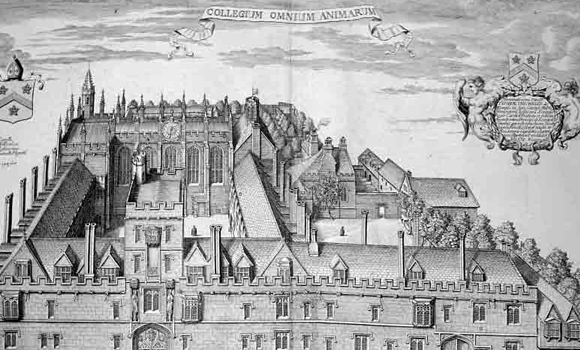 This very lengthy tour was rendered possible by an exceptionally fine spell of weather (plates 57-195). Six years elapsed before Daniell commenced the further prosecution of his journey. 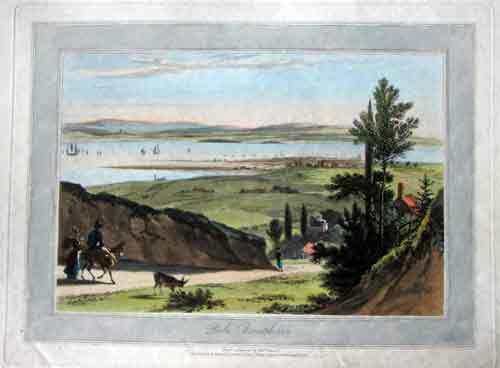 Arriving at St. Andrews on August 4th, 1821, he surveyed the remaining portion of the Scottish coast, and the east coast of England as far as Southend, which he reached towards the end of September (plates 196-224). 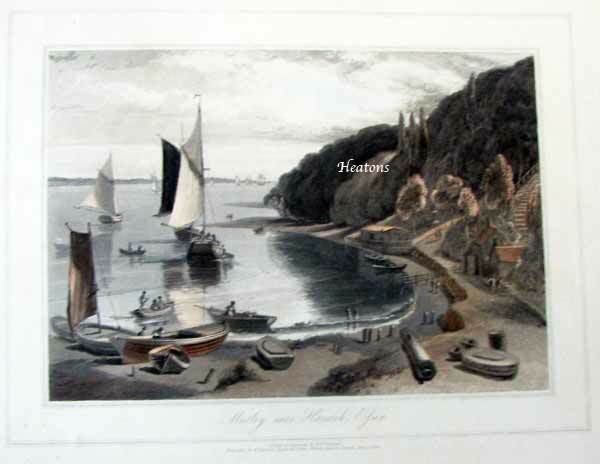 The following year he left Sheerness on July 28th, and explored the south coast as far as Torquay, whence he returned to London on September 27th (plates 225-277). 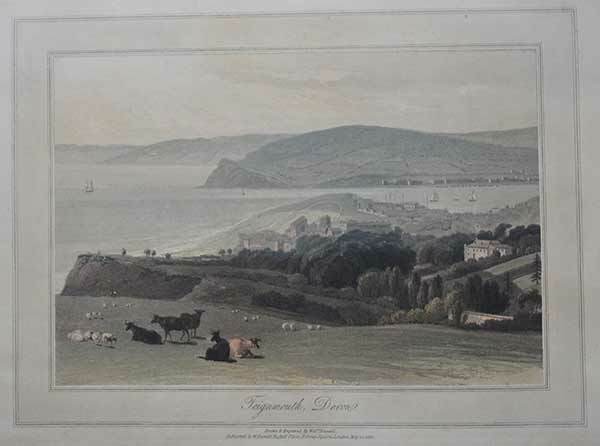 The concluding tour, a comparatively short one, commenced from Torquay on Thursday, August 21st, 1823, and embraced the final portion of the south coast to Land's end, which was reached for the second time on September 14th (plates 278-308). " 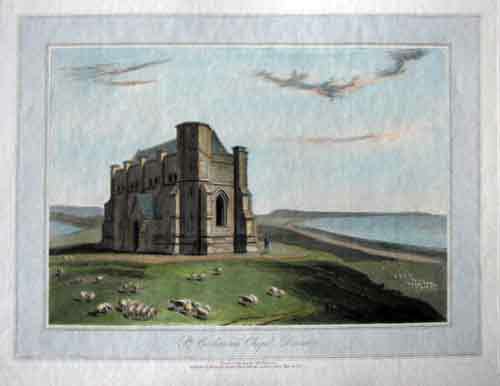 DUE TO SOFT COLOURING THESE ARE SLIGHTLY BLEACHED TO REVEAL ALL DETAILS IN A Very Compressed COMPUTER FRIENDLY FORMAT . .
Volume VII Sheerness to Weymouth From 'A Voyage Round Great Britain' This series was published in 8 volumes during the period 1814 to 1825. 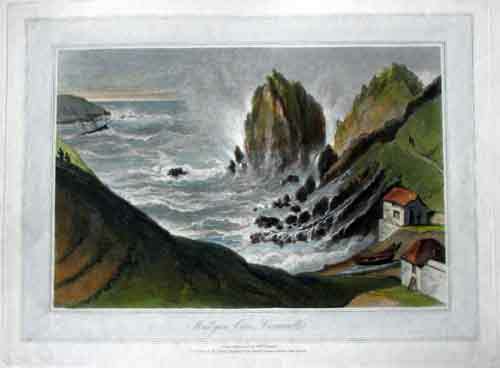 The journey was initially started in 1813 and was a joint project with William Daniell producing the drawings and William Ayton the text. . Eleven years later he completed his magnum opus having travelled from Land's End to John 0'Groats via the west coast, then back to Land's End via the east.The result was a collection of 308 aquatint engravings, the last great artist's voyage before photography was invented. 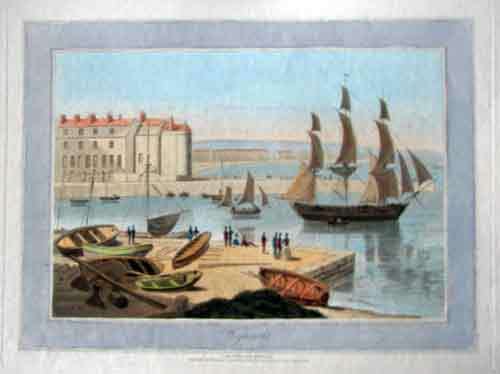 images all 9" x 11"but full page unless stated with huge margins, £85 inc posted later impression from pre 1826 details rubbed otherwise perfect on rag paper but brighter looser colouring than the earlier pics ie as they sold the quality was not so particular. . . . just fussy! 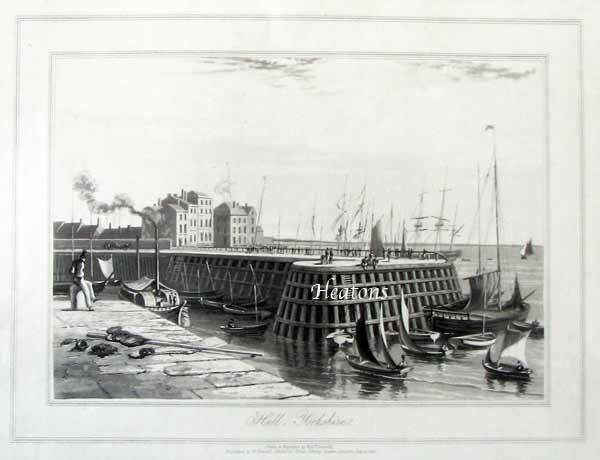 Volume VII Sheerness to Weymouth From 'A Voyage Round Great Britain' This series was published in 8 volumes during the period 1814 to 1825. 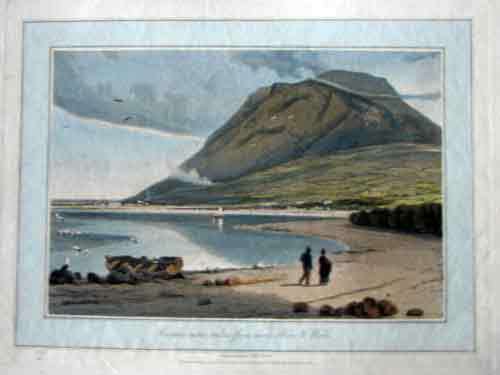 The journey was initially started in 1813 and was a joint project with William Daniell producing the drawings and William Ayton the text. . Eleven years later he completed his magnum opus having travelled from Land's End to John 0'Groats via the west coast, then back to Land's End via the east.The result was a collection of 308 aquatint engravings, the last great artist's voyage before photography was invented. 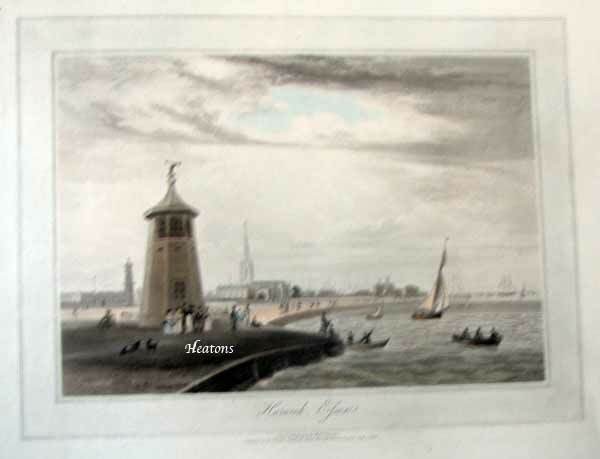 images all 9" x 11"but full page unless stated with huge margins, £85 inc posted unmounted later impression from pre 1826 details rubbed otherwise perfect on rag paper but brighter looser colouring than the earlier pics ie as they sold the quality was not so particular. . . . just fussy! 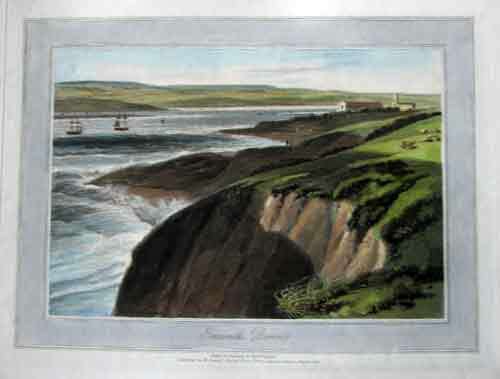 Volume VIII Isle of Portland to Land's End From 'A Voyage Round Great Britain' This series was published in 8 volumes during the period 1814 to 1825. 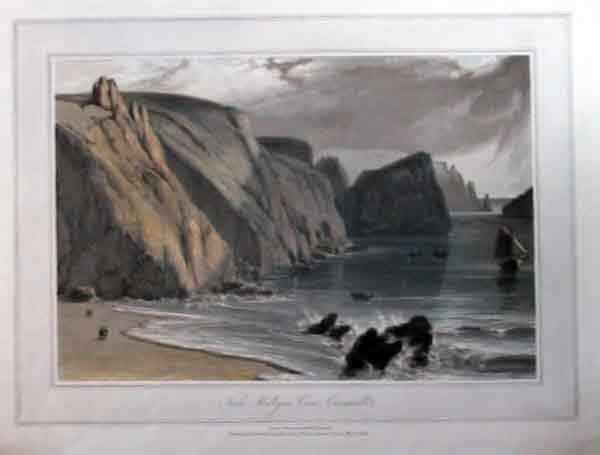 The journey was initially started in 1813 and was a joint project with William Daniell producing the drawings and William Ayton the text. . Eleven years later he completed his magnum opus having travelled from Land's End to John 0'Groats via the west coast, then back to Land's End via the east.The result was a collection of 308 aquatint engravings, the last great artist's voyage before photography was invented. 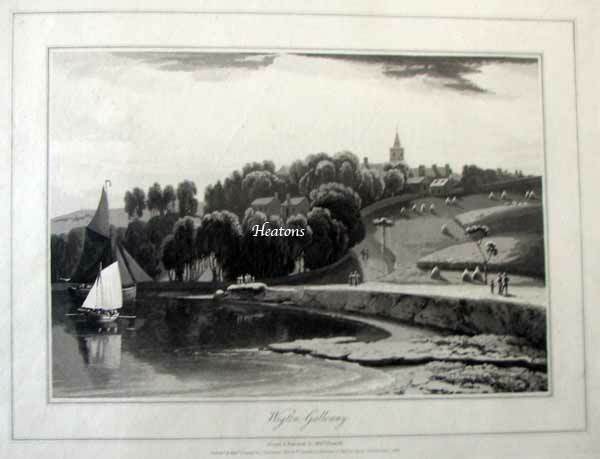 images all 9" x 11"but full page unless stated with huge margins, £85 inc posted unmounted later impression from pre 1826 perfect on finer paper but brighter looser colouring than the earlier pics ie as they sold the quality was not so particular. . . . just fussy!